The hotel restaurant is useful for more than just a holiday stay, even business travellers appreciate the comfort of staying in a hotel with restaurant. Catering in all of the hotels that are part of the group is characterised by the elegance of the dishes, the wide restaurant rooms with sea view and by a quality path that is designed to give the best tasting experience you may have. Our wide restaurant rooms are also perfect for organising events and ceremonies. For events, company dinners or just for a business stay, Hotel Abner’s is always ready with its à la carte menu. The wide restaurant room faces the sea: divided by panoramic windows but united by the light that reflects the light blue of the Adriatic Sea. Bot in summer and winter it is possible to organise business events or private meetings, tasting paths or evenings with entertainment and live music. For further info, be sure to head to Hotel Abner’s restaurant. It does not matter if you use the Hotel Feldberg’s restaurant for a business lunch, a ceremony, business trip or holiday. At Hotel Feldberg Riccione these two aspects of a stay that look so different are actually united. This is true because we know that everyone loves Italian food tradition and quality. The customisation of every event makes it unique and the restaurant of Hotel Feldberg is perfect for business lunches or dinners. On request, it is possible to have a personalised menu, for an even more unique experience. You can have more information by reading the web site of Hotel Feldberg 4-star hotel with restaurant. 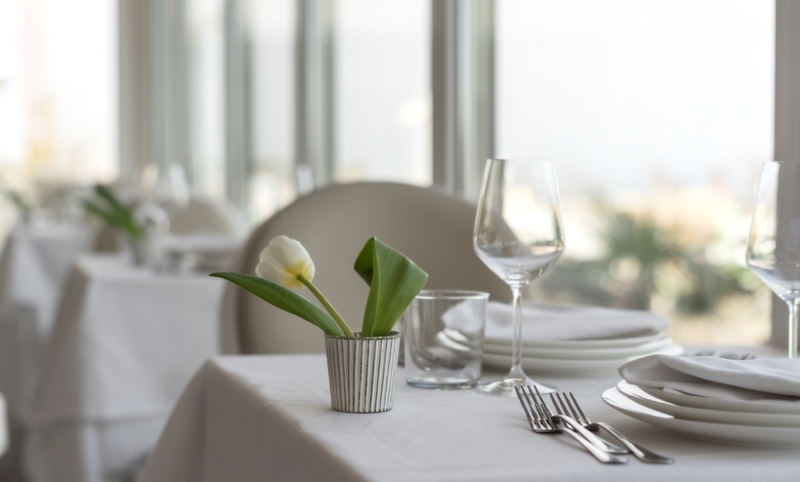 If you are thinking of a special business breakfast, lunch or dinner, you are thinking of Hotel Tiffany’s Riccione and its modern and elegant restaurant room. You can request customised menus, decorations and everything to make your experience unique. 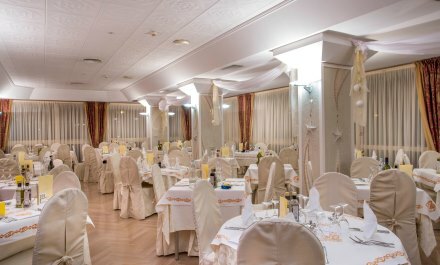 Hotel Tiffany’s has a lot of experience in organising every kind of event: from gala dinners to buffet or coffee break. This seafront hotel in Riccione is a reference for the hospitality industry also because it manages to unite the guests’ needs with a high quality service. On the official website you can read more info on Hotel Tiffany’s for meetings, events and ceremonies. After a long day of work, a meeting or a conference, the day needs a moment of relaxation and conviviality. 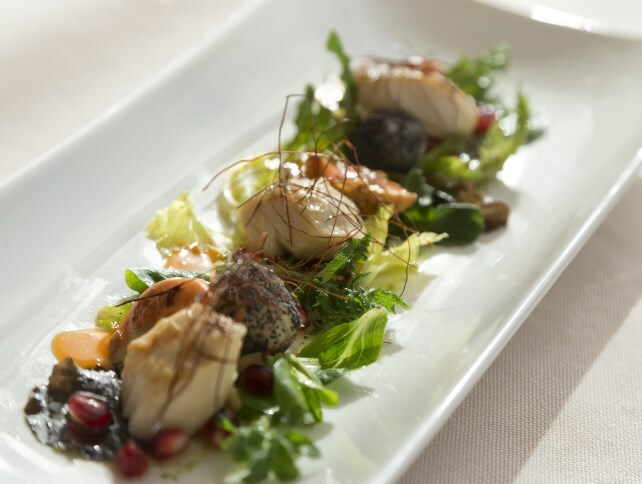 The Quarzo restaurant of Hotel Ambasciatori Rimini is open from June to September and on request all year round with its traditional and international cuisine. The hotel restaurants has a panoramic view over the green area around the hotel and the beach. 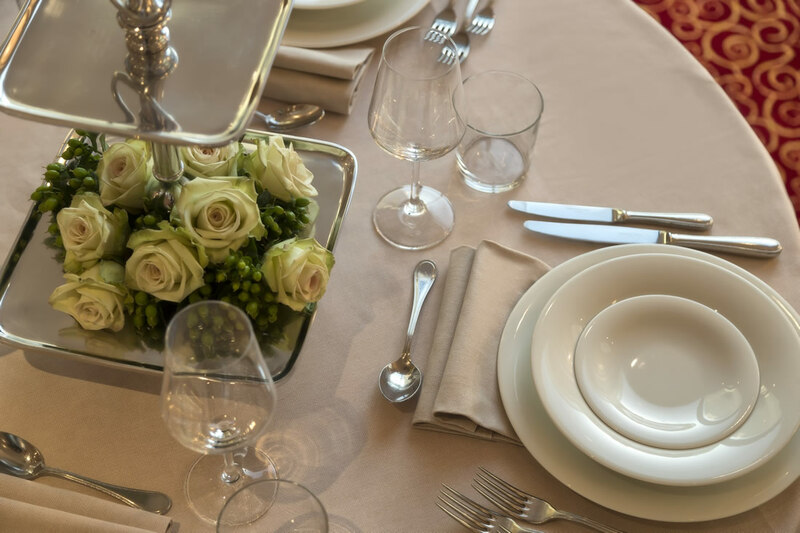 Hotel Ambasciatori is the go-to place for gala dinners, receptions, banquets and exclusive business dinners. Be sure to look for more info on the web site of Hotel Ambasciatori Rimini with restaurant. 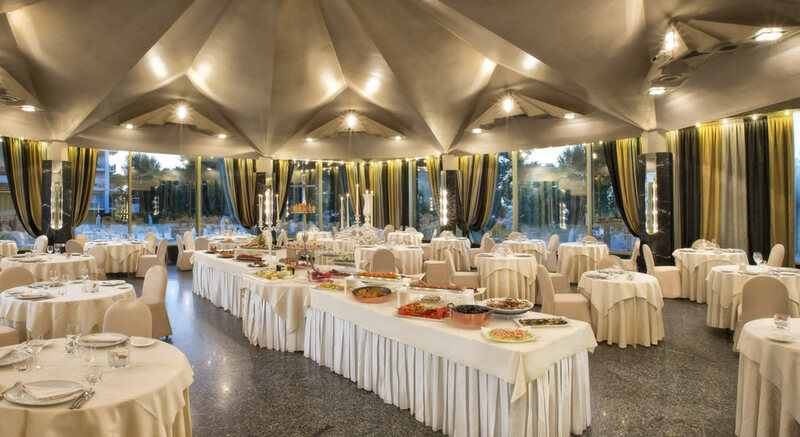 Hotel Sporting Rimini is the perfect location for your special happening and events: marriages, birthday party, meeting, conferences, incentive and business dinner. 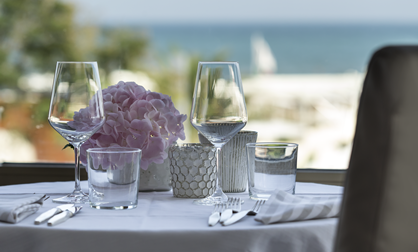 The restaurant room is simply delightful, with its ample seating capacity exalted bu the large windows that let you look over the park and the beach while the Swarovski chandeliers make everything special. From the attentive staff you will get the attention and suggestions you need for your meal and the wine pairing. As an alternative for a more intimate ambience or for a romantic dinner the Sala Diamante is a suggestive restaurant room for adults only. The panoramic windows face the blue pool while the marbles and refined interior is a fantastic environment to live unique moments. You can find more information visiting the official site on Hotel Sporting for business dinner and events. The 4-star of Hotel Continental stand out among the Hotel in Rimini managed by the group, thanks also to its location facing the sea and the main avenue of the area Viale Vespucci. The restaurant is one of the services that our guests like more, thanks to a skilful mix of tradition, local products and innovation. You can organise gala dinners, company dinner or special events for ceremonies. For every occasion, the chef proposes refined specialties respecting the world-famous Italian and Romagna tradition of good food. Check the official site for more info on Hotel Continental Rimini.